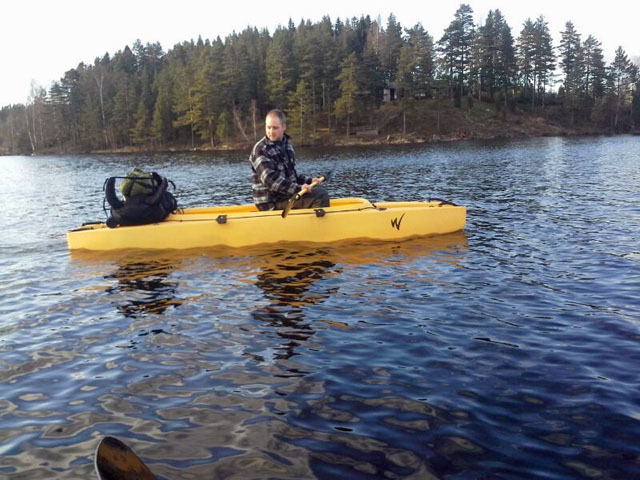 The weather is warming up, time to take the Wavewalk kayaks and go camping and fishing. 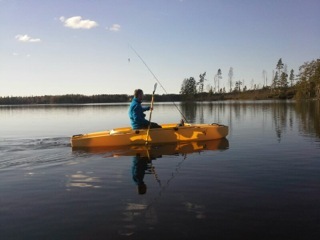 Remi on the way to the fishing grounds. His backpack is high and dry.